Harvey Milk - eloquent, charismatic, and a smart aleck - was elected to the San Francisco Board of Supervisors in 1977, but he had not even served a full year in office when he was shot by a homophobic fellow supervisor. 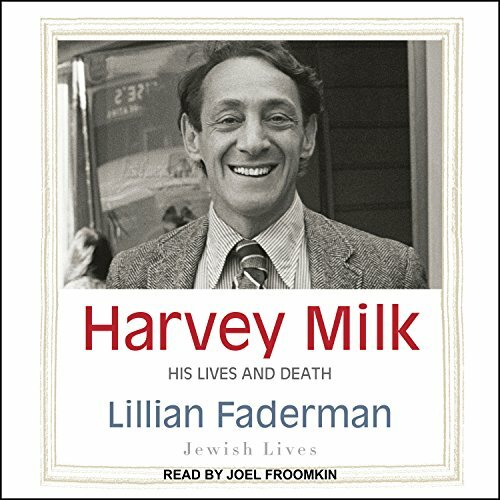 Milk's assassination at the age of 48 made him the most famous gay man in modern history; 20 years later, Time magazine included him on its list of the hundred most influential individuals of the 20th century. Before finding his calling as a liberal politician, however, Harvey variously tried being a schoolteacher, a securities analyst on Wall Street, a supporter of Barry Goldwater, a Broadway theater assistant, a bead-wearing hippie, the operator of a camera store, and organizer of the business community in San Francisco's Castro District. He rejected Judaism as a religion, but he was deeply influenced by the cultural values of his Jewish upbringing and his understanding of anti-Semitism and the Holocaust. His early influences and his many personal and professional experiences finally came together when he decided to run for elective office as the forceful champion of gays, racial minorities, women, working people, the disabled, and senior citizens. In his last five years, he focused all of his tremendous energy on becoming a successful public figure.